You are currently browsing articles tagged New Orleans. Robert Quarterman Mallard, son of Thomas and Rebecca (Burnley) Mallard, was born at Waltourville, Liberty county, on September 7, 1830. 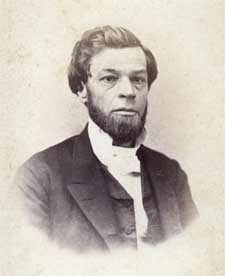 He was received into the Midway Congregational church on May 15, 1852, and graduated from the University of Georgia in 1850, before entering on his preparation for the ministry at Columbia Theological Seminary. 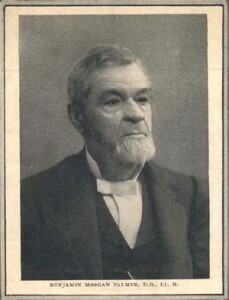 Then graduating from Columbia in 1855, he was licensed by Georgia Presbytery on April 14, 1855 and ordained by this same Presbytery a year later, on April 13, 1856, being installed as pastor of the Walthourville church, where he served from 1856 to 1863. Rev. Mallard next answered a call to serve as pastor of the Central Presbyterian church in Atlanta, and labored there from 1863 to 1866. He then took up the pulpit of the Prytania Street Presbyterian church in New Orleans, where he labored from 1866 until ill health forced his resignation in 1877. 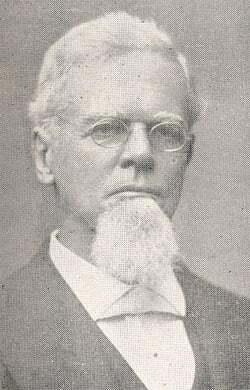 It was not until 1879 that he was able to return to the pastorate, answering a call to serve the Napoleon Avenue Presbyterian church, also in New Orleans, from 1879 until 1903, no long before his death on March 3, 1904. During the Civil War, Dr. Mallard was taken prisoner at Walthourville on December 14, 1865, where he was temporarily stopping, and kept with other prisoners in pens on the Ogeechee. After the fall of Savannah, he was carried into the city, and for a while imprisoned in a cotton warehouse on Bay street; was entertained for about three months at the home of Dr. Axson, as a paroled prisoner, before being finally released. ‘To me to live is Christ; and to die is gain.’ — Philippians 1:21. The Rev. 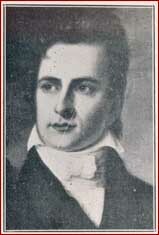 Sylvester Larned, the subject of our post today, was born in Pittsfield, Massachusetts on August 31st, 1796. He was the son Col. Simon Larned, a high-ranking officer in the American army who had served during the Revolutionary War. Of young Sylvester, it was said that in early childhood he gave good indications of future promise, and that the commanding eloquence for which he was so much distinguished in later life, began to be developed in his earliest years. He had a remarkable, upbeat temper, and other indications of a superior mind. One story that is famously told of young Sylvester–that while not even yet in his teens, he made a wager with his brother that he could make him weep just by talking to him. Now there was nothing solemn or painful ongoing in their lives at that time. But Sylvester began to ply his brother with words, and such was the force of those words, that in a very short time he actually melted down his brother into unwilling tears; whereupon, with a playful jab, he claimed his prize. At the age of fourteen he began attending college, and in his senior year, God’s hand rested on him, bringing him to a conviction of his sins. Soon after, he decided it was his life’s purpose to serve the Lord in pulpit ministry. So, in the autumn of 1813, he began his preparations at Andover Seminary. However, he left after only a semester and returned home to teach for a year. Then in 1815, he renewed his studies, this time at Princeton Theological Seminary. He grew in the grace and knowledge of the Lord Jesus Christ particularly in his final year, graduating in 1817, and was licensed to preach the Gospel by the Presbytery of New York. Wherever he preached, crowds would gather, “overflowing congregations hung in rapture on his lips, and were melted down under the power of his eloquence.” Not since Whitefield had one so young made such an impression in this country. It was at about this time that the Church began to sense the strong need of the Gospel in Louisiana. The claims of Christ Jesus had barely ever been proclaimed in New Orleans. One stalwart pioneer, a Rev. Cornelius, had done spade work, preparing the way, but he had no fixed connection with the city. For the true advance of the Gospel there, the work required someone committed to the people of the city. Larned was selected for that work. Ordained as an evangelist, he began his journey south. “On his first arrival in that city, a general and unprecedented interest was awakened by his preaching; and everything seemed to indicate that Providence had sent him there to produce a great revolution in the character of New Orleans. The uncommon majesty with which he exhibited the truths of the Gospel, the almost magic power by which he entranced and rivetted his hearers, drew after him a multitude composed of all classes, from the highest to the lowest in society.” Soon influential people stepped forward to call him as their pastor, to commit to his support and to the building of a home for the new church. Trivia: Did you note that the Rev. Sylester Larned was born and died on the same calendar day? That sort of thing is actually a rather rare occurrence. —The decease of Dr. Palmer of New Orleans is like a change in the landscape of the South. As far as it is possible for one man in the space of a lifetime to grow to be a part of the fixed order of things, Dr. Palmer had become identified like some old-time landmark with his denomination, his city and his section of the nation. he was one of that class of men who are incapable of change; what he was as he came to the maturity of manhood he remained until death. It is doubtless true that the world would be unfortunate if all its strong men should crystallize in that adamantine way, but living in a time that suffers little lack of impulses to progress, we ought to thank God that He still scatters through the churches some immovable men to hinder and obstruct headlong haste. From an almost opposite pole of Christian temperament THE INTERIOR clearly recognizes that Dr. Palmer served God and his generation as a symbol of the immutability of the great essentials of our religion. His faithful witness to Jesus Christ in the word of his preaching and the example of his ministry gave him such power in New Orleans as few of the Lord’s ambassadors have ever wielded in any age of the church. By all consent he was acknowledged for years to be the most influential man in that city, and he was so brave and outspoken that he made for righteousness not only in the private lives of men but in the civic life of the community. He was born in Charleston, S.C. on January 25, 1818 and had been over leading churches in Savannah and Columbia before he went to the First Presbyterian church of New Orleans in 1856. His pastoral term there covered fifty-six consecutive years. He retained excellent vigor and still preached powerfully despite his great age, and his life might have been prolonged still for several years if he had not suffered injury beneath a street car which ran him down in the streets of New Orleans a few weeks ago. He did not die from the direct effects of that accident, but the shock seemed so to weaken his vital powers that fatal disease soon supervened. As an example of Dr. Palmer’s influence, not just within the Church, but in the civic life of New Orleans, here is a portion of an account of his opposition to the lottery there. In the fall of 1891 a great meeting was held in New Orleans in order to stir up the heart of the people and warn them to use all efforts to arrest the spirit of public gambling. Some fine addresses were delivered, but Dr. Palmer of the Synod of Mississippi delivered the crowning address. His whole heart was aflame with the subject and the sympathy of the big congregation was with him. His address struck the right chord at the right time and it broke the backbone of the lottery. It was a great address and for the purpose of embalming it in the memory of our young people, we are giving it word for word as delivered that night. We leave out the cheers and the plaudits and the hand-clapping which were in evidence all through the speech. Indeed, sir, if the worst should come to the worst in this present campaign, I for one could wish that, all technicalities being swept away, there might be some method by which the question might be carried up to the Supreme Court of the United States whether it is competent to any state in the union to commit suicide. And if that venerable court should return an answer, which I think they would not for a moment consider as possible, I would then for my part make the appeal to the virtues and common sense of the masses of our people, that the very instinct of self-preservation may stamp out of existence an institution which is fatal to the liberties and the life of the commonwealth. . .
To read the rest of Palmer’s message, click here. Pastors, and Christians in general, can and ought to have a voice as citizens, and our voice should and must be informed by the Scriptures. PCA pastor Mike Milton has a new book forthcoming titled Silent No More, which speaks to this issue, and which should be well worth reading. 1. Carte de vis photograph from a collection gathered by Thomas Dwight Witherspoon. The original was lost in a fire, but had been thankfully scanned prior to that loss. 2. Cover photograph from THE INTERIOR, Vol. 33, no. 1671 (5 June 1902). All scans prepared by the staff of the PCA Historical Center.